Whether you have a Split-screen, a Brazilian Bay or anything in between, we can supply Lite-Steer for every type of VW campervan. Owning a camper van should be nothing else but fun. However we all know that driving and parking them can be challenging at times. 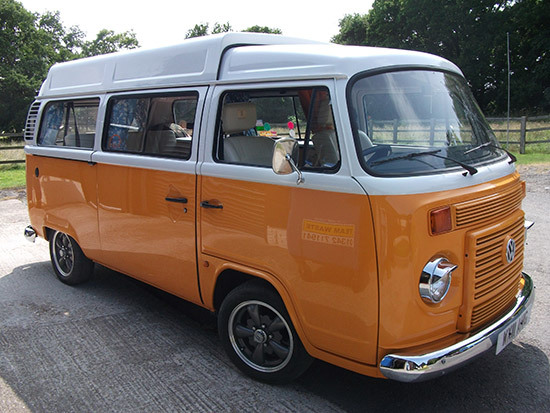 For that reason, Lite-Steer was initially developed for VW Campervans. We also cater for left-hand drive vans. Lite-Steer completely transforms the driving experience of your van, so that even reluctant drivers can feel more confident behind the wheel. Read more about Electronic Power Assisted Steering. Please note, VAT will be added at 20% for UK and EU customers. EU customers are exempt if able to provide a VAT number. VAT will not be added for customers outside of the EU. "Thank you so much!! What a difference driving home was, even though it poured most of the way home I had a big smile on my face going round the roundabouts! I noticed also that the brakes were so much better too."